As I am getting ready to go teach, I thought I should add one more thing to my list and post. I have 3 pairs of socks done. I also have knitted the pieces for 2 other gifts. Those are pieces for the Unice Unicorn Hood. I have 2, one for each of my girls. 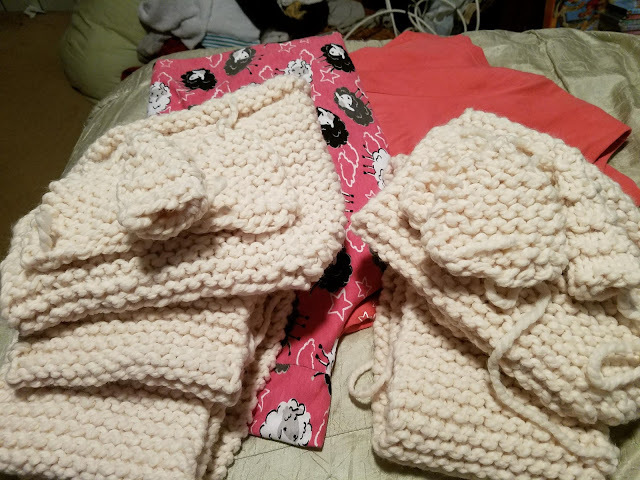 I have not put them together yet, because I am waiting on some other yarn. I have also picked up my Iced again. 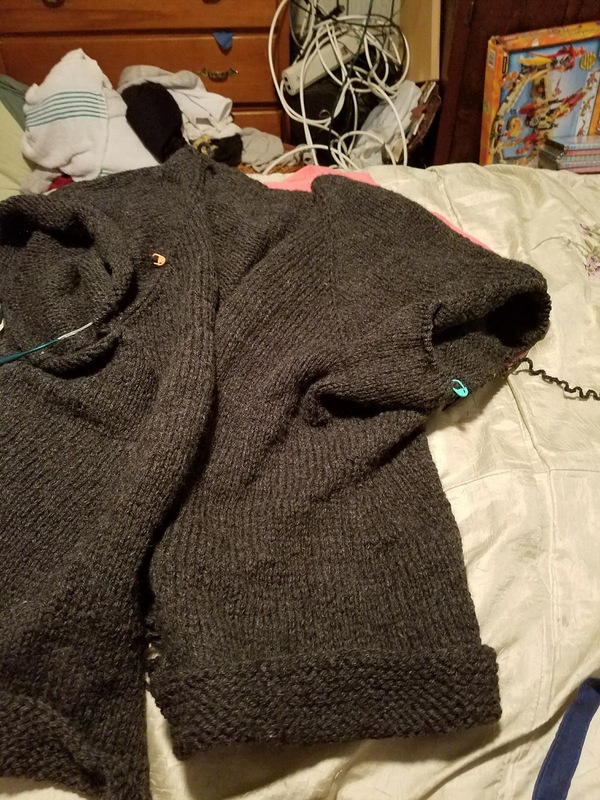 All that I have left is the sleeves and collar, and I hope to wear it when it actually cools down this year. I have started another Christmas present as well, another pair of socks. I am trying to clean out some WIP, use up what I have, make Christmas gifts, and make me a few things all at once. I know I only have 2 hands, and time is precious, but consistency works wonders. Oh, and those are my new sheepy pajamas in the background. Like them?